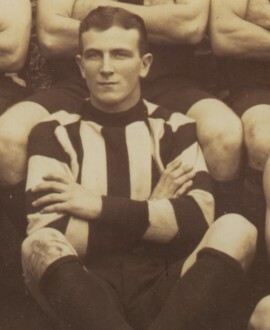 A talented utility originally recruited from Trafalgar, Dobrigh played in the 1917 premiership team as a half-forward flanker and in the losing Collingwood 1918 Grand Final side. Collingwood suspended him in 1919 and it was thought to have been because he was playing dead. However, it really was a dispute over payments while he was ill.